​The best change from Tuesday's Overwatch's update (Patch 1.28.0.1) is the Brigitte nerf. It's small, but it makes Brigitte's Shield Bash closer to a Reinhardt charge or Doomfist punch. If Brigitte uses her Shield Bash directly at another stun move (other than McCree's Flashbang), Brigitte will also get knocked down. Just like two Reinhardts charging into one-another, this change will make it so that Brigitte can no longer stun a charging Rein or charging Doomfist. It is important to reign in the healer right now. She has a massive disparity in play rates at different levels, and can feel stiflingly powerful at the lowest ranks in Overwatch. Even a small change can help to make her less dominant, and this one allows for a more advantageous matchup between Doomfist or Reinhardt against Brigitte. Additionally, the ability to knock down Brigitte is a godsend to teams against her. 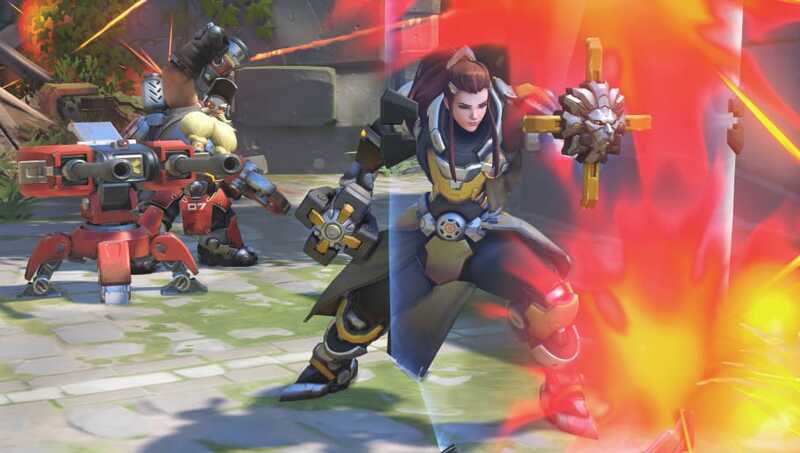 If Brigitte is knocked down, she no longer holds her shield up, which will make her much more killable. One of the largest issues with a Brigitte is the lack of ability to kill her. On the note of Brigitte being used disproportionately at different levels, she is semi-overpowered at low ranks, but was nearly absent at the ​Overwatch World Cup. Other than teams playing Goats compositions (three healers and three tanks), Brigitte was nowhere to be seen. This highlights the issue which is that the amount of skill to counter Brigitte is very high, a skill level that is absent at most ranks. Brigitte is one of the best counters to some of the most technically difficult heroes in Overwatch. She counters the mechanically hard heroes such as Genji and Tracer with ease and a much lower mechanical skill than them. This may have been a one line note in the ​patch notes, but it holds much more than the small change to Brigitte. It is the start of balancing one of the characters that has been terrorizing many players in ​Overwatch.